Royal Jordanian inaugurates its new direct regular route from Amman to the Turkish capital, Ankara, tomorrow December 8, 2015. Royal Jordanian President/CEO Captain Suleiman Obeidat said that Royal Jordanian is expanding its network in Turkey by adding the Ankara route to that to Istanbul. This route is bound to cater for the demand of business traffic between the capital of Turkey and both Jordan and beyond. 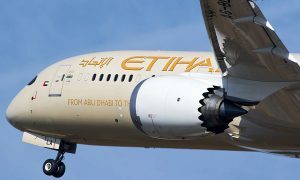 It will also serve Hajj and Umrah pilgrims. Obeidat highlighted Ankara’s significant geographical location in central Turkey and at the crossroads of highways and railway networks. In addition, Ankara and its vicinity are important regional centres for trade and commerce. He said that the new addition to the route network brings the number of Royal Jordanian destinations to 55, pointing out that new destinations will be added to the Royal Jordanian route network within the coming few weeks. 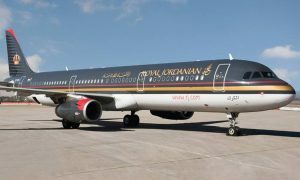 Also, Royal Jordanian passengers flying from/to Amman can continue their travel to more than 1,000 destinations served by Royal Jordanian partners in the oneworld airline alliance. 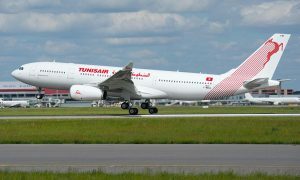 Royal Jordanian will operate to Ankara three times a week, on Thursdays, Sundays and Tuesdays bringing the number of flights between Jordan and Turkey to between 12 and 17 weekly, depending on the seasonal demand. On Thursdays and Sundays, Royal Jordanian flight (161) takes off from its base at Queen Alia International Airport, Amman, at 10:30 and reaches Ankara at 12:30. Royal Jordanian flight (162) departs from Ankara at 13:10 and lands in Amman at 15:00. On Tuesdays, Royal Jordanian flight (161) takes off from Amman at 12:15 and reaches Ankara at 14:15; flight (162) takes off from Ankara at 15:45 and arrives in Amman at 17:35. Royal Jordanian first started operating to Ankara in 1989 and suspended it in 2004 for commercial reasons.